It’s important to know when the hot water tank is on, because it draws a lot of power. 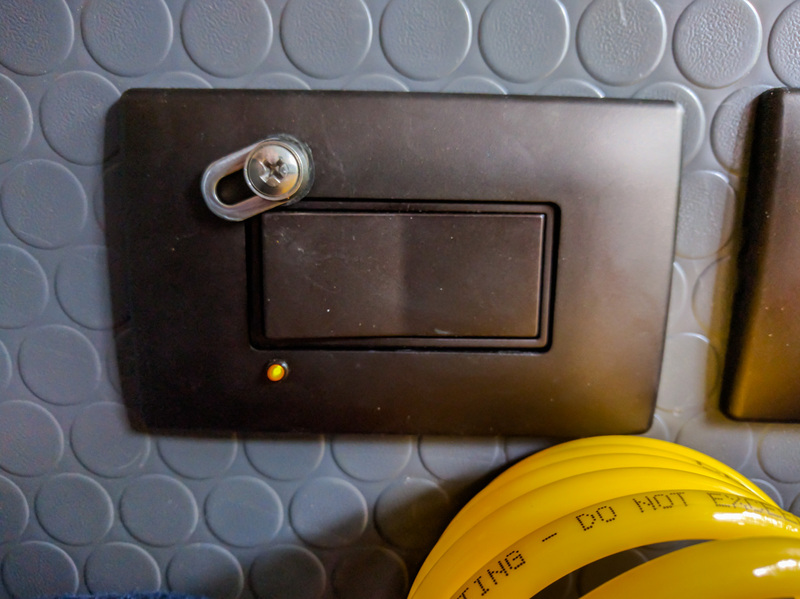 We added a tiny LED and a safety catch to the on/off switch. We used a 15 amp light switch as the on/off switch for the hot water tank. That was mainly because it is the same style as the electrical outlets. The thing is, it is in a location where it could get accidentally switched on, and it doesn’t light up when the switch is turned on. Sure, we could have just used a different switch, but it was more fun to create our own solution. We bought a 120v LED that comes in a little push-in housing. We had to drill a hole in the switch surround in just the right spot for the LED to fit inside the cut-out but not interfere with the switch mechanism. The LED hooks up to the neutral wire and to the switched side of the live wire. It’s discreet, but it is a great visible reminder that the hot tank is on. 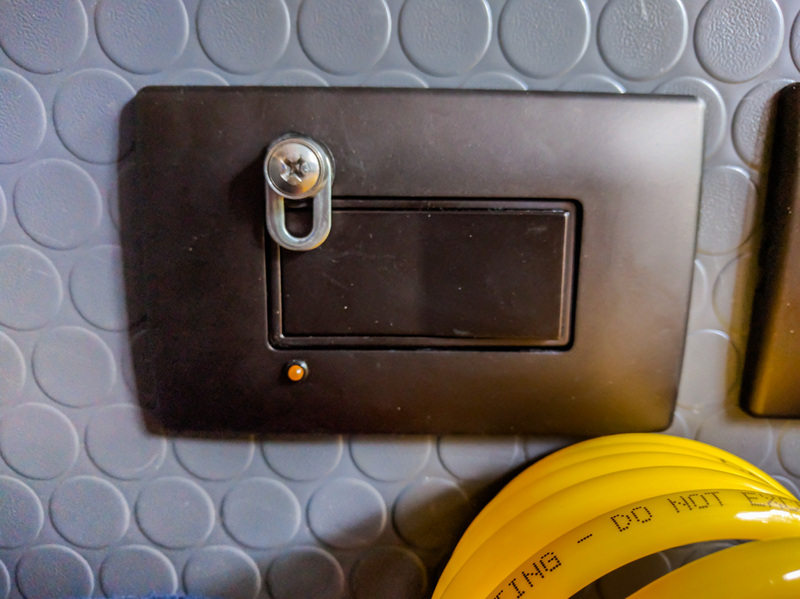 To stop the switch from being accidentally knocked in to the on position, we drilled another hole in the surround opposite the LED and added a bolt with a sliding catch. When the catch is closed, the switch won’t turn on. When the catch opens, the switch can move. The switch we used made the whole job slightly easier. It’s a Pass & Seymour switch with a screwless decorator wall plate. The way the wall plate clips on gives you plenty of space to drill holes in the right location.